I think you should Get Farmed! March 9, 2014 Health Comments Off on I think you should Get Farmed! As a blogger I ‘m often sent products to try, which I must say is a nice little perk. But I’ll only write about those that fulfill certain criteria. Amongst other things they have to interest you guys, my readers. Well this week I received a lovely little gift pack from Get Farmed and I have to say they certainly fit all my criteria. 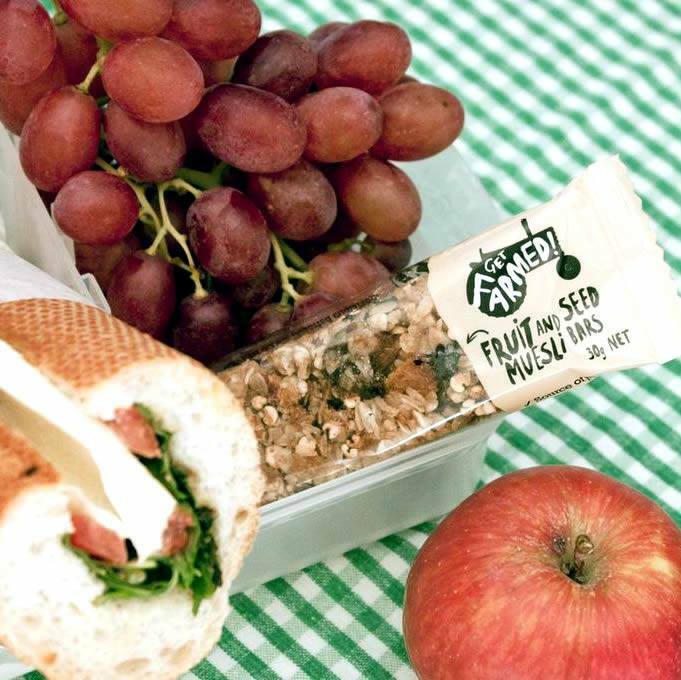 If you pack lunchboxes or have kids like mine who seem to constantly snack then you will be interested in this new Melbourne based company and their yummy products. 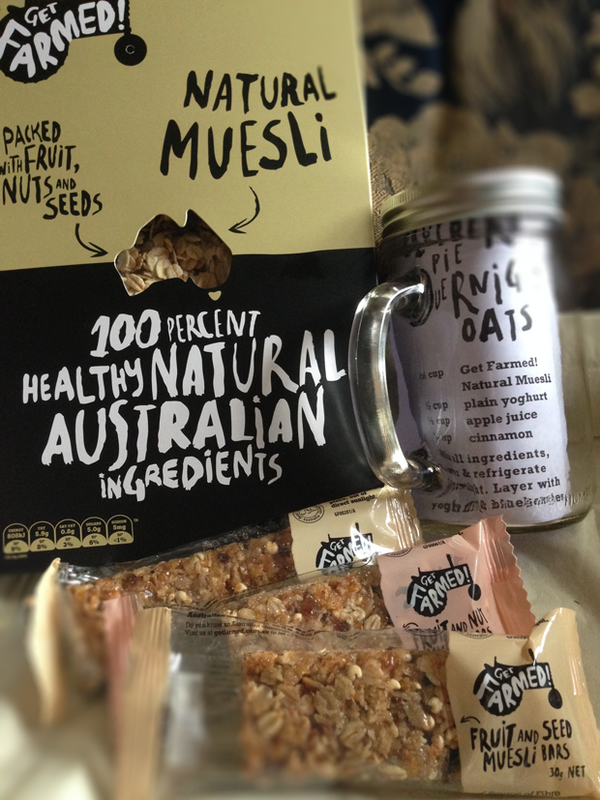 Every ingredient in Get Farmed products is Australian; the oats are grown in Northern Victoria and South Eastern SA, the almonds are from Robinvale in Northern Victoria, the dried fruit is from the Barossa Valley SA, sunflower seeds from the Darling Downs south of Toowoomba and linseed from Northern Victoria – WOW! Keeping with the Australian theme the Get Farmed products are available through Aussie Farmers Direct (and a few other outlets). I love Aussie Farmers, they deliver my fruit box on Tuesdays and my cool pack full of goodies (milk, cheese, chicken, bread, eggs etc etc) on Saturdays. I think I will certainly be adding some of these muesli bars to my order. 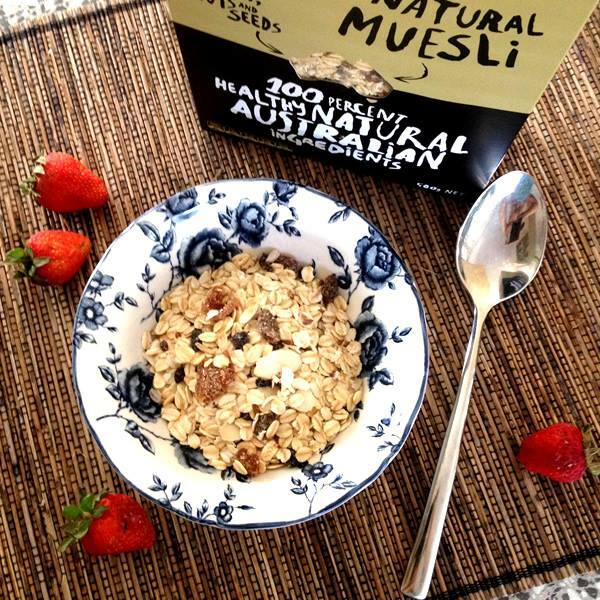 My kids demolished the Get Farmed muesli bars in a nanosecond and their verdict – a bit fat YUM! To find out more about Get Farmed you can visit their website. Disclaimer: I received a complimentary pack of Get Farmed products including Natural Muesli , muesli bars and overnight muesli recipe. I received no payment for this post and opinions expressed are completely my own.